i sometimes like em, sometimes hate em right now i like the spuds. Its obviously cleaner without but its thats not always the best. Location: So. California I've been saying that for many years now. I also think ALL of the spring special trim parts make the car uglier. And yet, you see some cars with every single piece on it, uglified to the maximum. Dodge seems to be somewhat unique in that almost every trim option you might like from a higher trim car could be purchased separately at the lower level. 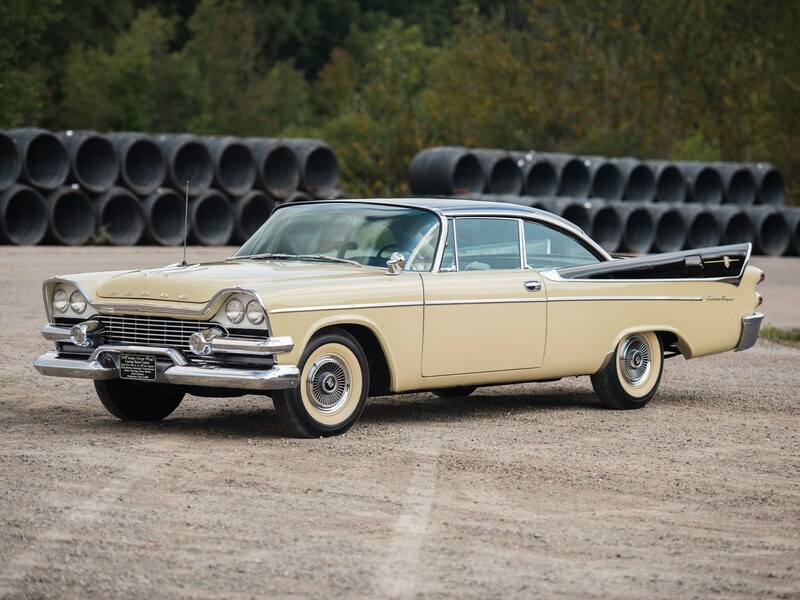 For example, on a Chrysler or DeSoto, if you wanted the higher end seats with the dip in the center of the seats, you were forced to get a Fireflite, New Yorker, 300 or Adventurer. 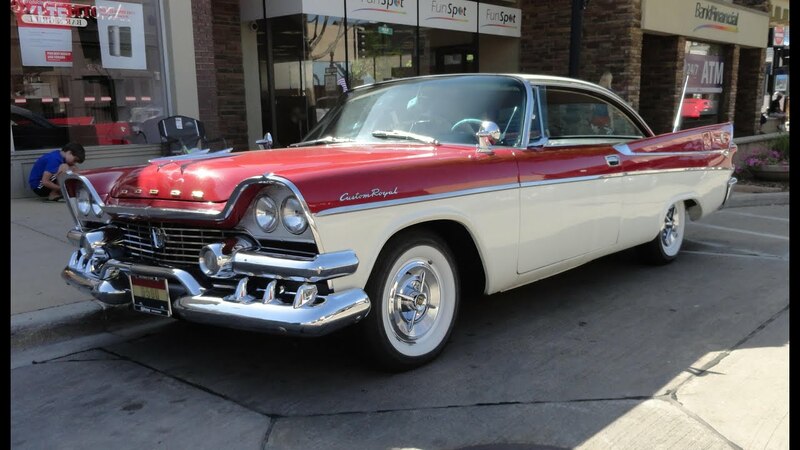 But with a Dodge you could order that option for your lowly 6 cylinder Coronet if you wanted it. Location: So. California Also, the D500 option was a prime example of this as well. With every other line, in order to get the high performance dual quad motor, you had to purchase the Fury, Adventurer, or 300 (although it is probable that you could purchase these parts from the dealer to convert your lower end vehicle). But with Dodge, you could order a really cheap bottom line car with zero options except for the D500 or super D500 option. Factory hotrods for the common man. This is how most people define a muscle car, but Dodge had been doing this since the mid-fifties. Location: Ontario, Canada While it probably depended on where one lived, at least as I recall, there were Plymouth/Chrysler dealers versus Dodge/Desoto dealers. These all had to compete for sales among themselves. The only way this could happen was to make some Dodges cheap enough to compete with low end Plymouth models! I fabricated wiring harnesses for all these cars for many years and the most obvious way was to make many electrical accessories optional for Dodges only and there are lots of examples. Ply had no provision for map lights. All Chry had them standard. Optional on all Dodges. Same for glovebox lights. Same for trunk lights. Same for handbrake warning lights. Same for dash switched dome lights. Same for backup lights. Same for key start versus push button start. Probably a bunch more I don't recall right now. Chry and Ply and Dodge all had unique basic instrument panel harnesses that fit every one of their cars. There were very few "optional extras" or "add ons" for the basic harnesses for Ply and Chry but the "add ons" for Dodges were endless! There were almost as many "extras" as there were wires in the basic harness! This is, in my opinion, why Dodge and only Dodge had broadcast sheets taped to the back of the gloveboxes. The assembly guys needed this info just to install the proper switches, devices and wiring. Dodge: the ultimate step-up or step-down car! This one is pretty cool! I am still not quite used to modern pricing: it seems like $5,500 should get you a car with tail lights.